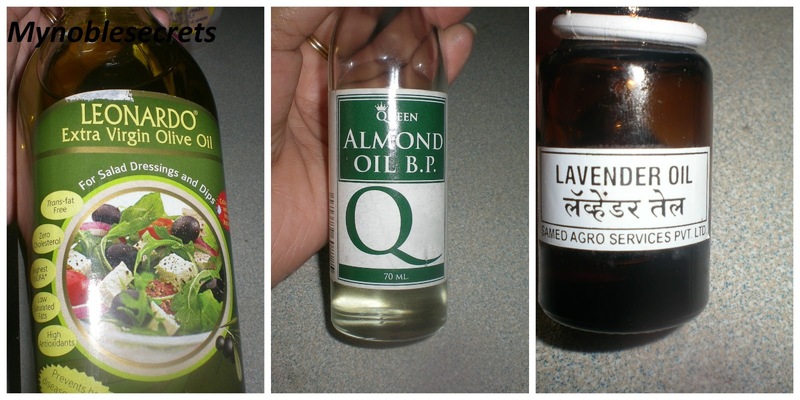 Here is DIY Recipe Contest Entry No-2 Home Made Cuticle Oil For Beautiful Nails by Radha. Her Blog is full of Reviews and DIY Recipes. She is a Home maker and having one Cute Kid. Hello Friends, When it comes to taking care of our hands, cuticles, the skin immediately around the fingernails, are often neglected. But they too contribute to give hands a beautiful and neat appearance, and, when they are badly damaged, they may put skin at risk of infection. One of the most important things to do to keep your cuticles in great condition, is to use a good moisturiser or cuticle oil. Making your own is really easy. shake well so that every corner is cleansed with acetone. 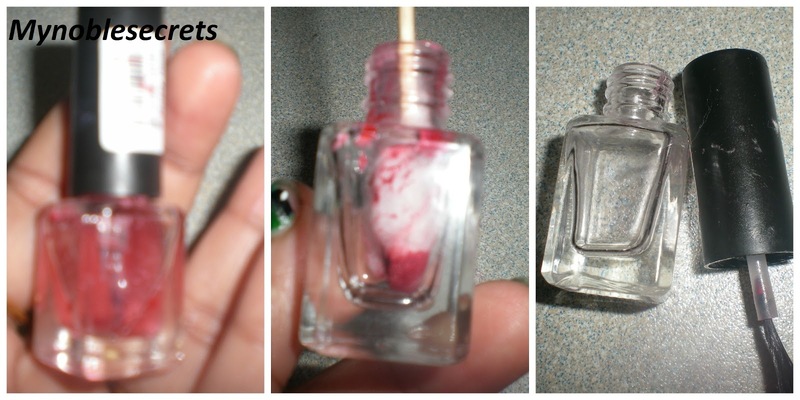 Then I use a cotton swab to clean the inside corners and so, I also clean the brush with acetone and cotton. Yeah I am ready with a bottle to keep my cuticle oil. 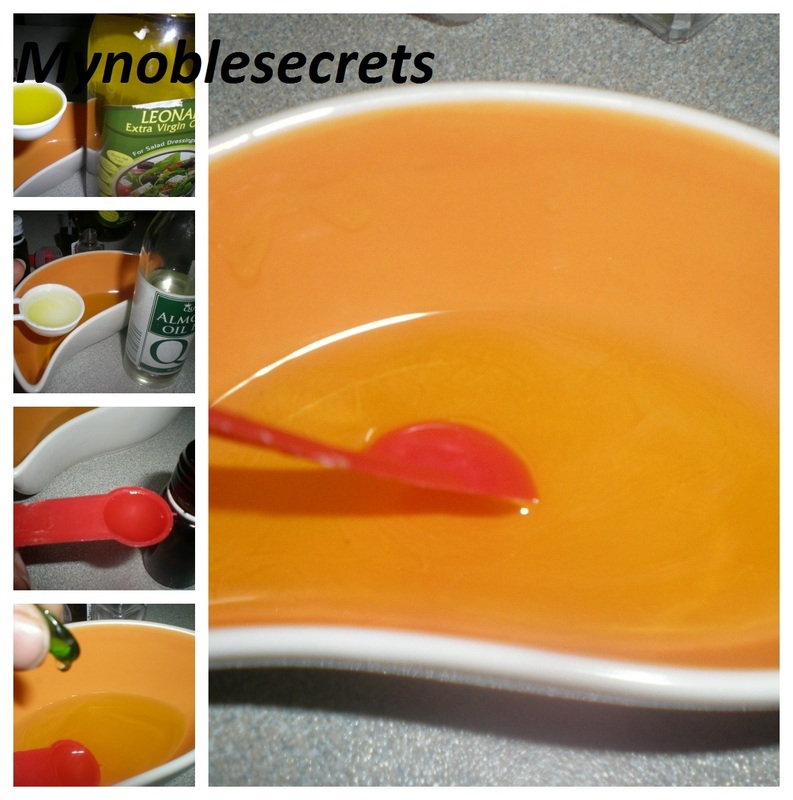 here I have used lavender oil and mix all the oils well. See how it works on my nails!!! Store this cuticle nail oil as I said and enjoy your shiny nails. 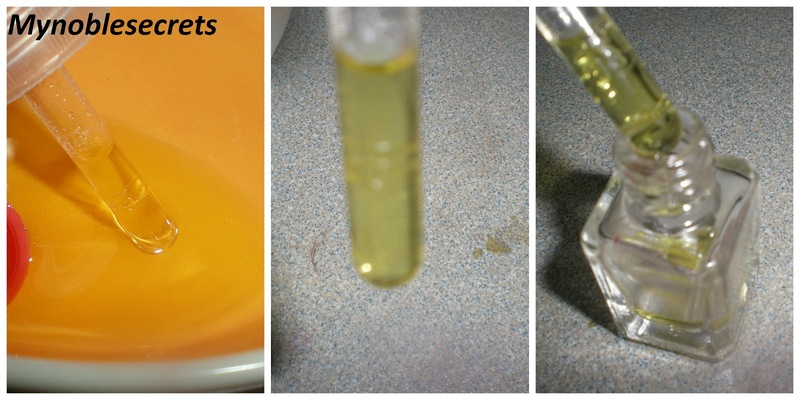 Cuticle oil helps to get shiny and strong nails. Cuticle oil makes your nail beautiful and refreshed. It will help you to recover your polished and tired nails to it's original form. 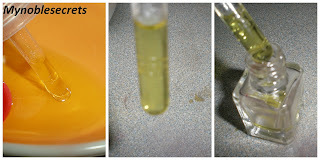 The yellow strain caused by the nail paints will be removed by regular usage of cuticle oil. To make your nails beautiful and strong =er do use almond oil on nails. To do a Mani you need beautiful and neat nails. Maintain your nails by soaking them in olive oil for 20 minutes to make them soft and shiny. If your nails became different from its original colour you must have some health issue. Nails are the mirror to detect your health probelms. If it is pale you may have anemic problem. wow ! great tutorial Radha. I am gonna give it a try.